3x1 "Higher Ground" jeans in 10 oz. 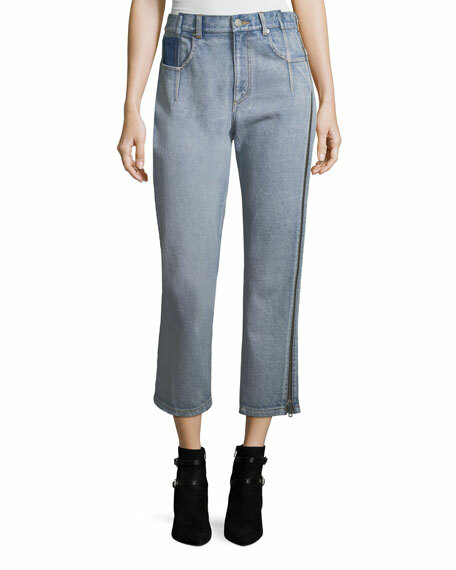 medium-washed Italian denim. Faded throughout; distressing at knees. 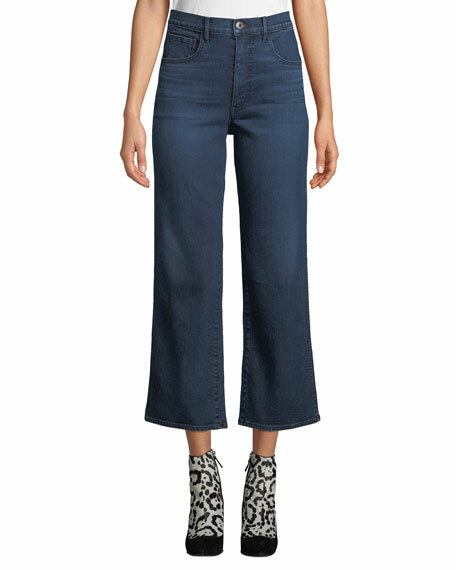 Relaxed fit through flared legs. For in-store inquiries, use sku #2229784. 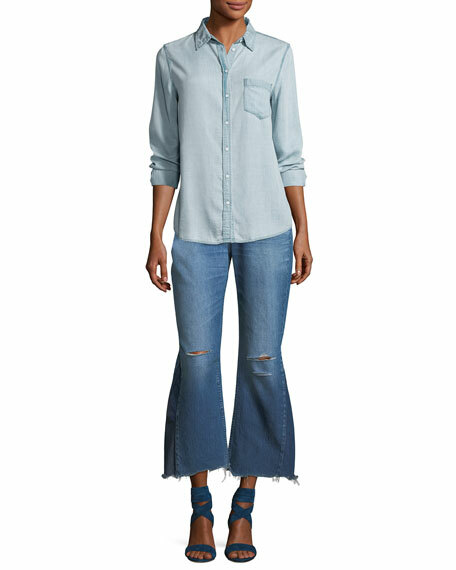 3.1 Phillip Lim jeans in faded, light-indigo wash denim. 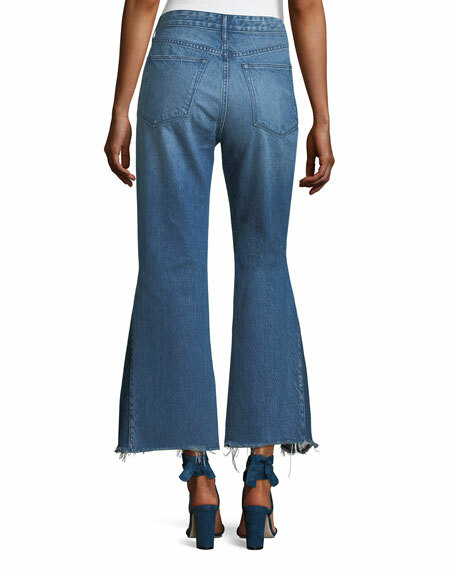 High-rise; reconstructed waistband. Button-zip fly; belt loops. Five-pocket style. Zipper detail down side leg. Relaxed fit. Straight legs. Ankle-length. Phantom logo patch. Cotton. Imported. 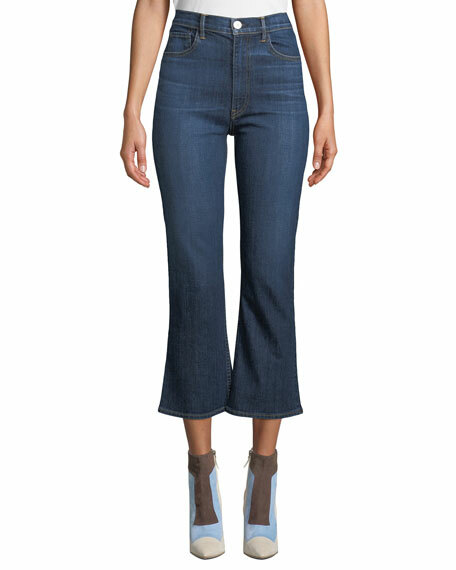 AGOLDE "Riley" jeans in dark-wash stretch denim. Approx. measurements: 11.5" rise; 26" inseam; 14" leg opening. Five-pocket style. Fitted through straight legs. 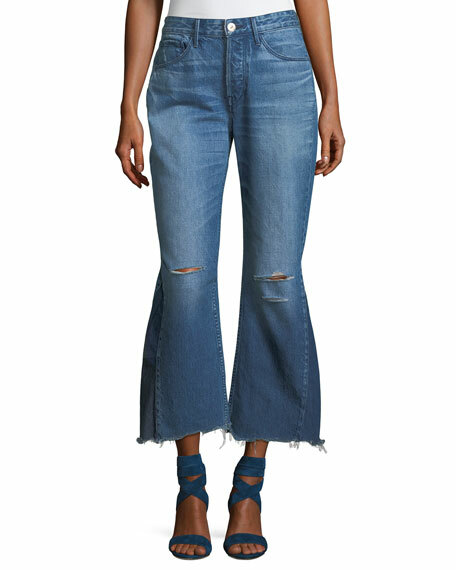 Cropped above ankles. 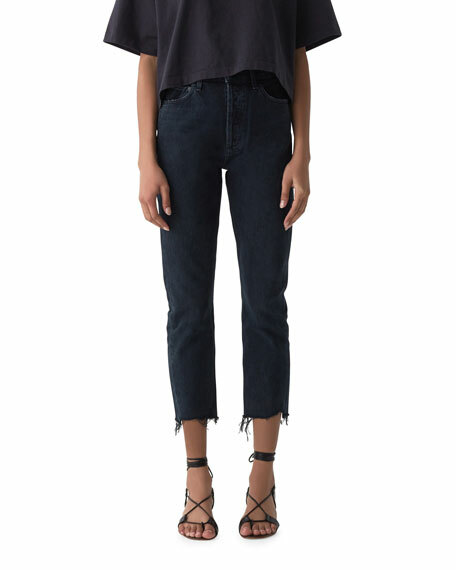 Frayed raw-edge hem. Button/zip fly; belt loops. Cotton/spandex. Made in USA of imported materials.